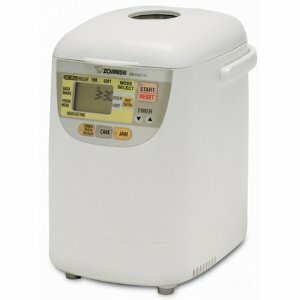 One of the easiest ways to get your kids involved in cooking is teaching kids to use the bread maker. Young hands rarely have the stamina and power to properly knead a good loaf, and the process can take such a long time that they may have lost interest by the time it comes round to baking the bread. 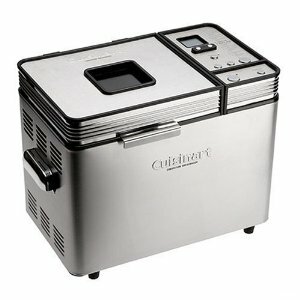 A bread maker shortens the process considerably, and is fairly easy to use. Each bread maker will operate differently, so its more important to think about the process of teaching your child how to use it. These stages will allow your child to get a feel for the whole process and leave them with the skills to make fresh and tasty loaves for the rest of the family. 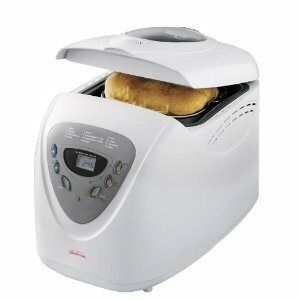 The first part of teaching kids to use the bread maker is to get them to watch you in action. This is important as they are expensive pieces of equipment, and letting your child loose on the controls may end up damaging the machine. Go through the steps for making your childs favorite loaf, explaining what youre doing at each stage, and ask them questions to make sure they understand why youre doing what youre doing. Now that your child has seen the process, and has got it down in their head, its time to let them to try out for themselves. At this stage, you should be in the kitchen with them, but only step in if they are about to do something dangerous. You may end up with several ruined loaves, but they will learn directly why each step of bread making is necessary, and with your guidance, will correct the error for the next loaf. When you feel that your child has made several successful loaves, its time to trust them with the machine. Give them a set of food challenges, such as making enough bread for the family for a week, or making different fruit loaves for an afternoon party as ways of increasing their confidence and expanding their repertoire. Make sure that you get them to taste a bit of each loaf so that they learn to quality control themselves, and ask them for their honest feedback. 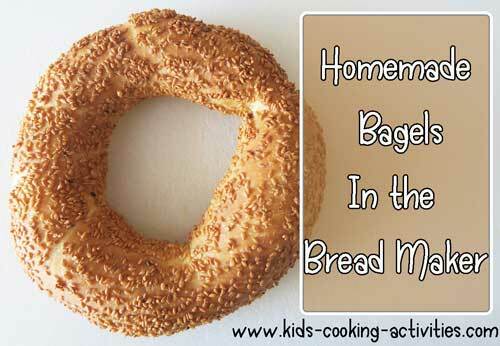 Teaching kids to use the bread maker can be a big step in turning your child into a chef, as the results are very impressive for a relatively small amount of effort. The most important things will be to make sure that you know how to operate the machine fully, and that you have the time and the patience to teach. The supervision stage may take a long time, depending on the learning style of your child, so be ready to go through a lot of flour, yeast and time to help give them the confidence to get it right. Your bread machine manual will come with bread recipes that will be an excellent start to this process however you can also buy bread machine cookbooks. Bread machines come in two sizes a small machine that makes 1 pound loaves or you can buy a larger machine that can make 1, 1 1/2 and 2 pound loaves. 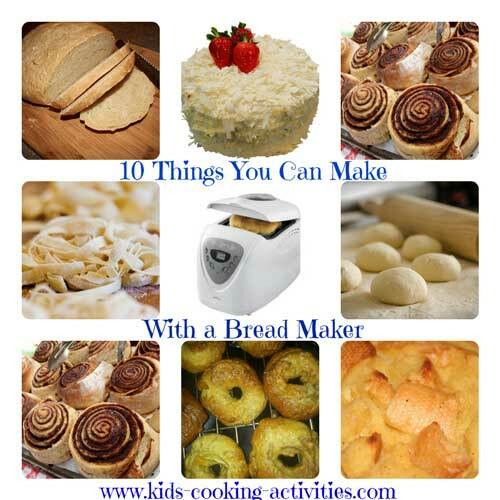 I think it is important for kids to learn how to make bread from scratch too so you can move on to this kids cooking lesson once they've mastered the bread machine baking. A simple and easy recipe to try with your kids this weekend. Add ingredients in the order listed to your bread machine. 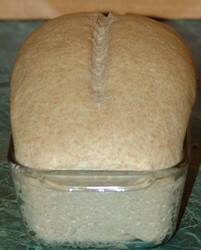 Turn the bread machine to the dough method. When it is done, take out and roll into a rectangle with a rolling pin. With pastry brush, brush melted butter on top of the dough. 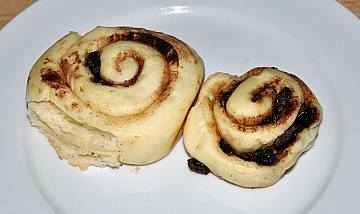 Sprinkle with brown sugar, cinnamon and raisins. Roll up jelly roll style, slice and put in a 13x9 casserole dish. Let rise for 30 minutes-1 hour and bake or put in refrigerator overnight. In the morning bake at 350 degrees for 20-25 minutes. Drizzle with cream cheese frosting. Try these 10 things you can make with the bread maker beyond bread.